Rouann Garling, 84 years, of Bryan, passed away Tuesday, February 5, 2019, at Community Health Professionals Inpatient Hospice Center, Defiance. Rouann was born December 17, 1934, in Lisbon, Ohio, the daughter of the late Clyde G. and Gertrude (Blair) Lewis. She was a graduate of David Anderson High School, Lisbon, Ohio and furthered her education receiving her bachelor’s degree from St. Luke’s School of Nursing. Rouann married Richard J. Garling on May 9, 1959 in Lisbon, Ohio and he preceded her in death. Rouann worked as a Registered Nurse. Her passion was caring for her family as a wife and mother. 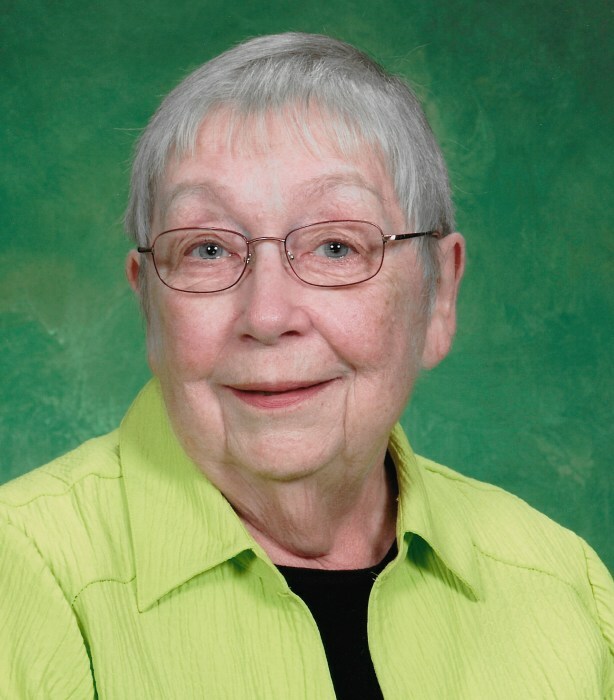 She was a member of St. Patrick Catholic Church, Bryan, Ohio, and a former member of St. Basil the Great Catholic Church, Brecksville, Ohio. Rouann served as a Past President of the Brecksville Women’s Club. She was a former Girl Scout Leader. Rouann enjoyed playing Bridge, reading, sewing, bowling and spending time with her family. Surviving are her three children, Ann T. Garling of Cleveland, Ohio, Matthew J. Garling of Germany and Rebecca S. (Robert J.) Kimble, II of Bryan; three grandchildren, Hannah Liebig-Garling (Christoff Hofie), Robert L. Kimble and Joseph B. Kimble. She was preceded in death by her parents, her husband, Richard and one brother, Blair Lewis. Visitation for Rouann Garling will be held Sunday, February 10, 2019, from 3:00 – 5:30 p.m. in the Oberlin-Turnbull Funeral Home - Lynn Street Chapel, 206 North Lynn Street, Bryan, where the Rosary will be recited at 5:30 p.m. Sunday evening. Mrs. Garling will them be transferred to Vodrazka Funeral Home, Independence, Ohio. Mass of Christian Burial will be held at 11:00 a.m. Tuesday, February 12, 2019 in St. Basil the Great Catholic Church, 8700 Brecksville Road, Brecksville, Ohio 44141. Interment will follow in Brecksville Cemetery, Brecksville, Ohio. In lieu of flowers, the family has requested that those planning an expression of sympathy are asked to consider memorial contributions be made to Community Health Professionals Home Health and Hospice, 1215 South Portland Street, Bryan, Ohio 43506 or to the Williams County Humane Society, 9464 County Road 16, Bryan, Ohio, 43506.